The DU 1500T optimizes the performance of your antenna and transmitter or SWL receiver by providing adjustable impedance matching. 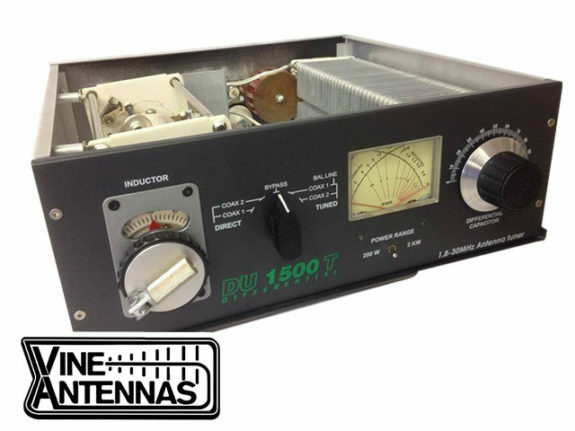 The DU1500T also measures the Power and Standing Wave Ratio (SWR), which allows you to tune the indicted SWR to the lowest possible ratio for the selected transmit frequency. POWER/SWR METER Dual needle meter displays FORWARD and REFLECTED Power in Watts. The SWR in measured where the two needles intersect on the red scale. Five-position rotary switch an output coaxial connector. 1.TUNED COAX 1 selects the COAX 1connector trough the impedace matching circuit. connector trough the impedance matching circuit. 3.DIRECT BYPASS selects BYPASS COAX connector bypassing the impedance matching circuit but provindingSWR, FORWARD, and REFLECTED power meter readings. 4.DIRECT COAX 1 select the COAX 1 connector bypassing the impedance matching circuit but providing SWR, FORWARD, and REFLECTED meter readings. 5.DIRECT COAX 2 selects the COAX 2 connector bypassing the impedance matching circuit but providing SWR, FORWARD, and REFLECTED meter readings. TUNED WIRE/BAL selects the BALLINE+COAX 1 connector through the impedance matching circuit. REFLECTED Power displayed on the power meter. Scale reads 200W full scale and the REFLECTED meter scale reads 40W full scale. When the METER switch is on 2kW, the FORWARD meter scale reads 2kW full scale and the REFLECTED meters scale reads 400W full scale. RF INPUT – Coaxial connector for input from SWL receiver or transmitter. 2 COAX 1 – Coaxial connector for output to Antenna One. COAX 2 – Coaxial connector for output to Antenna Two. BYPASS – Coaxial connector for output to dummy load or third coax output. GROUND – Post/Wing-nut type ground connector. 6 BALANCED OUTPUT Two ceramic post for output to RF balanced twin-lead antennas. WARNING:SOME BALANCED OR END-FED ANTENNAS WILL PRODUCE HIGH RF VOLTAGES AT THE BANANA CONNECTORS.RF BURNS MAY RESULT IF TOUCHED DURING TRANSMISSION. Connect a coax cable from your transmitter or receiver to the RF INPUT connector on the rear panel.Keep the cable as short as possible. 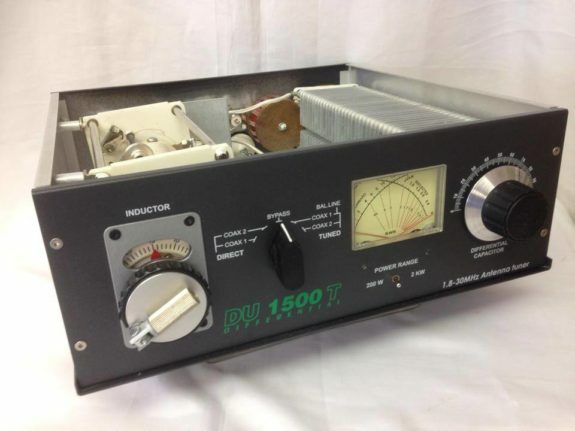 If you use a linear amplifier,connect your transmitter to the linear amplifier output to the DU 1500T. the transmitter or trough the tuned circuit depending ont he setting of the OUTPUT SELECTOR switch ont he front panel. 3If you are using a balanced feed antenna,connect the INSTALLJUMPER in the COAX 1 connector and switch band switch TUNED COAX 1. If using a single wire antenna,connect itt o post COAX 1 without installing jumper. PUT SELECTOR switch. 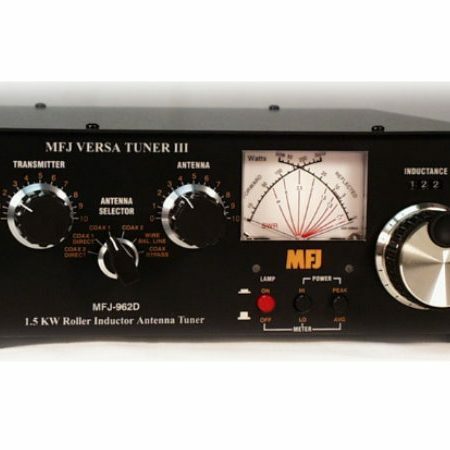 Any antenna that does not require the use o fan antenna tuner may be connected to the BYPASS connector, if desired. WARNING: DO NOT OPERATE THE DU 1500T WITH THE COVER OFF! Select the band and frequency of desired operation. the suggested settings before applying transmitter power. Actual settings may vary from antenna to antenna. 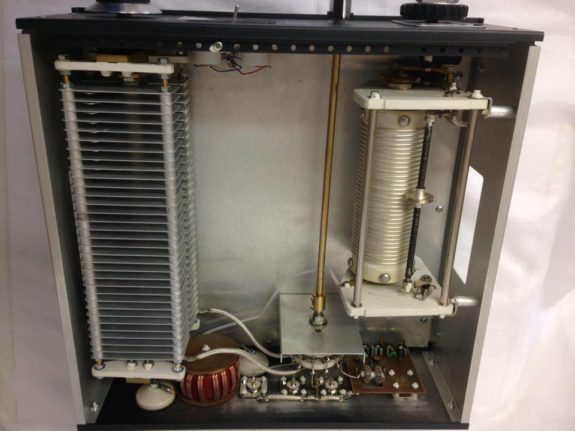 Set up your transmitter to a low power output. If your transmitter has a TUNE position, select that position. If you use a linear amplifier, set it to STANDBY. 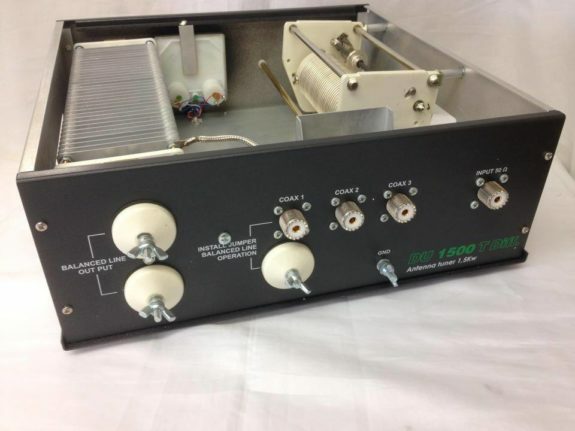 Do not use the linear amplifier until the DU 1500T is tuned. Set POWER RANGE switch to 200W. Set OUTPUT SELECTOR switch to BYPASS, or to the position matching your antenna connection. To tune your antenna, the switch selection must be set to: COAX 1 TUNED COAX 2 TUNED, or BAL.LINE+COAX 1. Selecting COAX 1 DIRECT, COAX 2 DIRECT, or BYPASS. 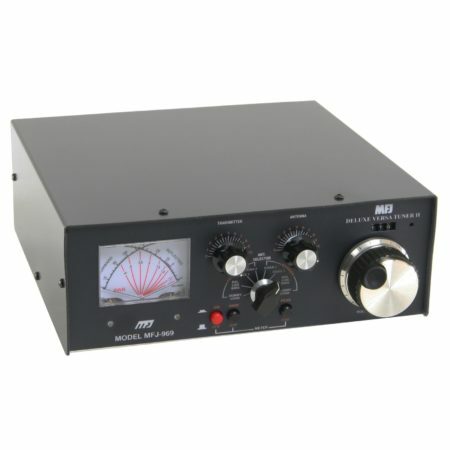 Rotate the INPUT and OUTPUT controls for maximum noise or signal as heard on your receiver. 8 until the lowest SWR reading is obtained. The SWR should be 2:1 or lower. time. The INPUT and OUTPUT Controls vary the capacitors and provide fine adjustments.